Thanks very much, the item arrived on time and works perfectly. SCART to RGB Component Adaptor (Gold Connectors) + FREE SHIPPING! The world has become a much smaller place than it was a decade ago, which means there's a lot of... let's say cross-pollination of technology between countries. Like when your extended family moves back to Australia from Europe, bringing all their worldly possessions with them, including televisions, VCRs, DVD Players and crazy games consoles the likes of which we've never seen. Crazier still, they're all connected via SCART sockets that few Australian electronics devices can accommodate. 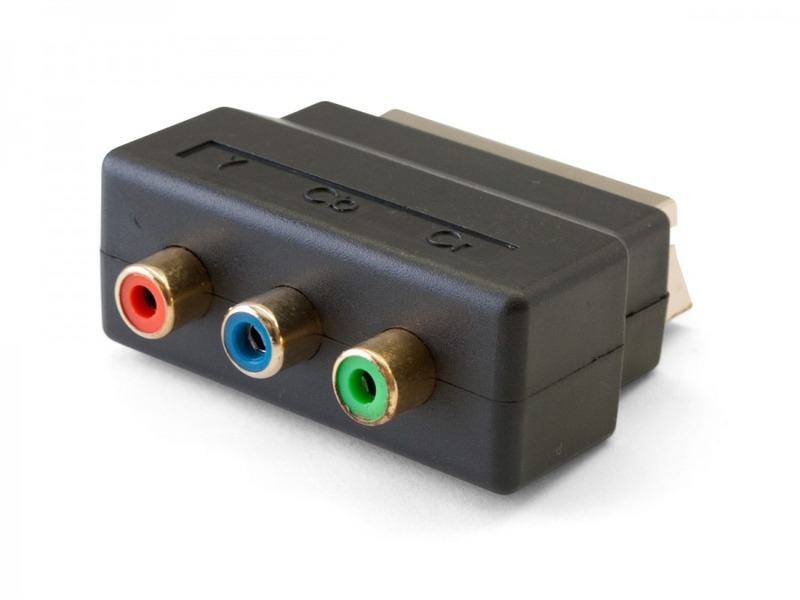 With a handy SCART to RGB Component Adaptor (Gold Connectors) on hand, you can connect almost any two devices up, either directly or via leads, so long as one has SCART (Aka: EIA Multiport) and the other Component Video (Y, Pb/Cb, Pr/Cr). Even your Foxtel box can benefit from an adaptor such as this! Answer: "Yes, The adaptor is designed to convert SCART to the RGB or vice versa. If you have any problems. feel free to contact us." Answer: "Unfortunately there is no way to include audio. You would need to run a separate audio cable. But if you were to have the SCART on the source (eg: DVD Player, Foxtel etc) , you could use the following cable: http://www.cablechick.com.au/cables/15m-scart-to-rgb-component-l-r-audio-cable.html"